Well today was an interesting day. When Boyter, Greg & myself went out for lunch today, everything seemed normal… until Greg decided to buy some hot chips for lunch. He tries to pay for the chips with a $10 note and they don’t accept it. Weird we thought, so I had to lend him $3 in coins hoping they would accept that. Turns out the $10 note was fake! 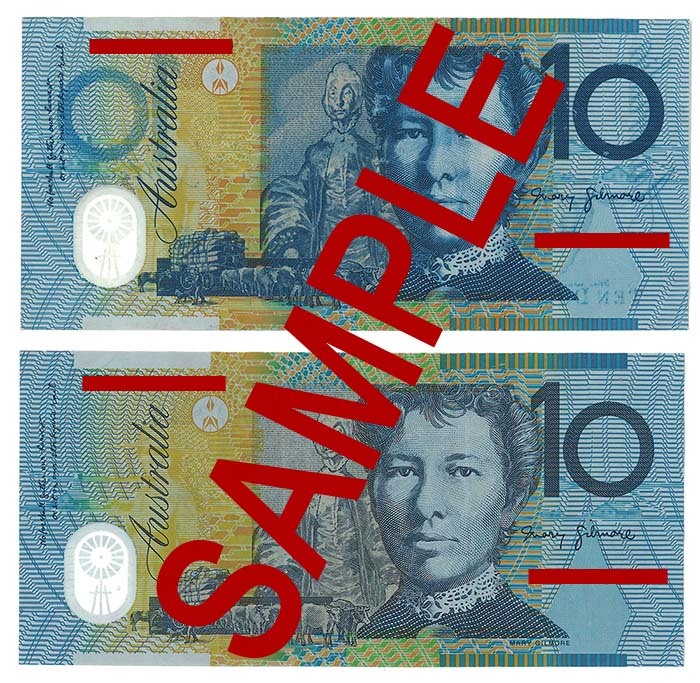 Now I always thought the Aussie dollar was pretty hard to copy, and I suppose it is, but this proves it’s seriously possible. The fake note was picked up by Greg at a train station as change for buying a train ticket and it appears it was discovered due to the bleeding of the ink through the note (the “10” from the reverse side is clearly visible when it shouldn’t be) as well as the dark ink falling off the note in places you wouldn’t expect - ie where people don’t usually fold the money). 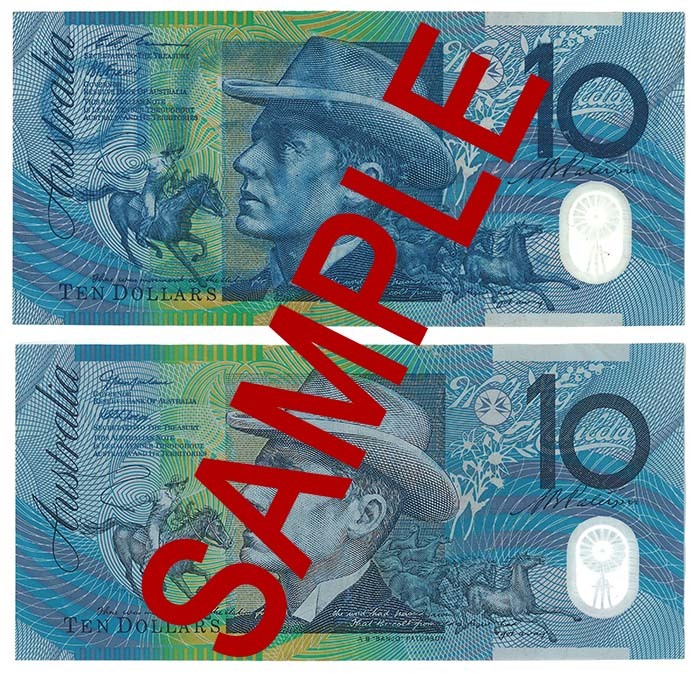 Two small differences are highlighted on closer inspection - the words of the person’s name (Banjo Paterson or Mary Gilmore) are missing on the fake one and also the signatures from the Reserve Bank of Australia and the Secretary to the Treasurer are both different AND in a different order - but that could just be because the fake one is based on an older note? A search on the serial number on the fake note on Google returns no results. Interesting. I decided to capture a low resolution copy of the fake one before Greg hands it into the authorities just for interests sake - to prove that counterfeit notes exist and in circulation - even if it is only in $10 amounts. I guess the point is we don’t know how many are in circulation. So have a look below and see if you can tell which one is the fake note and which one is the real note.